A helpful resource for pastors and elders who minister to the dying or to people grieving the loss of a loved one. This helpful resource is a must forpastors and elders who minister to the dying, visit with individuals and families grieving the loss of a loved one, and conduct funerals. 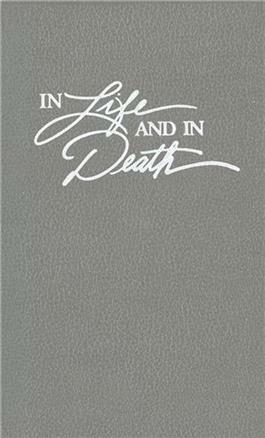 Thepocket-size manual includes prayers and Scripture readings for many occasions, as well as three complete funeral (or memorial) services, a prayer service for miscarriage or stillborn babies, and a committal service. Features aquality leather cover and four ribbon markers. Leonard Vander Zee serves as theological editor for Faith Alive Christian Resources and is an ordained pastor in the Christian Reformed Church.